How to Build your Own Real-time Chat App like WhatsApp? Well, that’s a tremendous idea to create an app like WhatsApp, But you have to get to know the technologies and features used to build it. Now let us get back in the days when the first chat room came enticing users for those stirring small talks. Then, the social networking sites pierced into the mundane life to offer over the horizon connectivity. At the minute, instant messaging keep us engaged throughout by delivering a swift response. Moreover, we heightened fall for the convenience and comfort offered by the instant messaging app. As we are very much enlightened of the chat app like Whatsapp surging into popularity. It is found that most of the people prefer to develop a chat app offering real-time interaction which adds a personal touch experience to the user. Now, it’s time to roll up your sleeves and get down to business in developing yet another stupendous chat app like WhatsApp. In view of, a modern chat app must possess noteworthy functionalities which can be adaptable to any type of chat solutions. In recent times, it has been found that creating chat app like WhatsApp companies experimenting with headway technologies like Artificial Intelligence and Bots. An ideal chat app has the potential of offering solutions to Enterprise-level Communication, Personal Chat, Business Development communication and e-Commerce chat solutions. Since, due to the success of WhatsApp, and it’s no surprise that investors and developers be in pursuit of replicating WhatsApp success. Identically, Contusat its core has all-encompassing technologies to develop a chat app like WhatsApp — Contus Fly that draws new features according to your expectations on various platforms such as Android and iOS. Though WhatsApp may run the messaging market still there is space for your chat app that prospers the particular feature that WhatsApp doesn’t have. Considering to your objective business, it’s not about developing a traditional version of WhatsApp but ending up in building a modern chat app that will be identified distinctively by your users and ideal to any chat solution. Have You Ever Wondered What technologies Makes So Perfect to Bring a Splendid Chat App like WhatsApp? Erlang: This is the chief programming language used to develop the epic chat app Whatsapp. The Erlang programming language was most appreciated for its performance reasons, speed and scalability. Contus Fly is built on Erlang where the garbage collector allows updating the code instantly for different functional optimization. The programming language implemented in Contus Fly helps to have a high volume of short messages processing in very low latency. FreeBSD: WhatsApp, which has sent over billions of messages every day on its platform, has been built on FreeBSD. Contus Fly opted FreeBSD operating system due to its delicate network stack and extensive reliability. The FreeBSD being a single distributor have many advantages with Installation and provided easy creation of binary packages. YAWS: (Yet Another Web Server) is written entirely in Erlang. Contus Fly uses embedded mode where YAWS runs as an embedded web server on the combination in another Erlang application. YAWS system has the ability to handle concurrent processes in an efficient way and possesses high performance. Lighttpd: Lighttpd is an open source web server optimized for Contus Fly for a higher performance. The lightweight web server is deployed on WhatsApp to acquire a secure, flexible, fast and compliant feature. PHP: Contus Fly using PHP open source language for its performance and reliability. In combination with AJAX, a powerful web development technology to display data from the database using Ajax to develop responsive real-time chat app. BEAM: BEAM is a virtual machine to run the Erlang. It is a bunch of built-in functions such as if-simple network interface tool. Contus Fly uses BEAM interface to support the functions — Schedulers, Processes, Message passing, Memory Management and Multi-core etc. 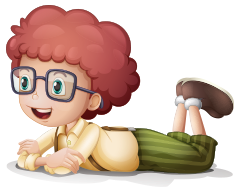 Custom XMPP Server: Contus Fly encoded XMPP server to its functionality by reducing the byte of the keywords. The technology is used to enable message exchange in a real-time. The XML format is a human-oriented and it’s not meant to be read by any machine learning. HTML5 WebSockets: The WebSocket is a feature in HTML5 used to establish a solid connection between the web browser and the server. The WebSocket data are directly sent over a socket which provides faster and persistent communication between the server and web browser. Mnesia DB: This is a real-time database management system written in the Erlang language. Contus Fly uses the Mnesia, which is a soft database that allows for store the messages, files, images, videos, documents and the rest multimedia files that running on your app. This is a kind of technology that goes beyond your expectation that has the potential to store any amount of data. Voice Over Internet Protocol (VOIP) is the classification of technologies to deliver the voice communication and multimedia sessions over the Internet Protocol. Lets to make calls directly to communicate with a personal touch experience with voice/video without an intermediate connection. 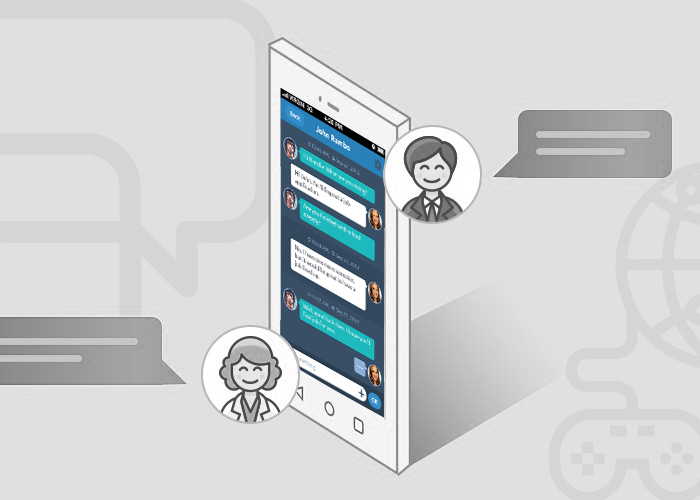 The chat app allows the user further to connect with other users with the facilitation of group conversation through Video/Audio. User safe encryption to secure from third-party infiltration. Prioritize in user private data security through advanced premium encryption technologies. Cloud Resource Platform synchronization to monitor, update, store and scale the hosting environment. File transfer of various data formats such as video, images, Gifs, voice note, animation, documents, contact, and location. Lets to send a whisper by tapping on the recipient name in a group where the messages can’t be seen by other persons. Enhanced geolocation integration makes quite an effective flow of interaction on a real-time basis. Calendar sync provides a thorough knowledge of the events and tasks that will appear where you are yet to plan your day. The cross-platform messaging will allow you to be engaged within your reach while at a desk or on the go. Choose your right monetization strategy to sell your app on the digital store to increase your app’s revenue stream. Apart from these in-built features, Contus Fly has the potential to incorporate beyond the features according to your expectations and type of chat Solution. If you are about to build a similar chat app like WhatsApp enhanced with additional modern features, then you are on the right path to bring out your chat app with dynamic features.